Clth, 8 x 11.75 in. / 160 pgs / 195 color. Text by Andrea Bellini, Dieter Schwarz. Düsseldorf-based artist Thomas Schütte (born 1954) is one of the most idiosyncratic of present-day artists, venturing to deploy techniques, genres and themes long thought passé--such as the sculpturally formed female figure--in permanent materials such as bronze, aluminum and steel. Schütte began his Frauen series toward the end of the 1990s and, while his first reclining nudes can be understood within the language of Classicism, his later, monumental figures with sawn-off limbs and various distortions--sometimes with bodies steamrolled flat or in tantalizing poses--resist all attempts at easy categorization. But Schütte’s brutal treatment of the female form is motivated less by a desire to shock than by a concern with the figure as a present-day testing ground for artistic expression, one that is frequently shot through with Schütte’s characteristic morbid humor. 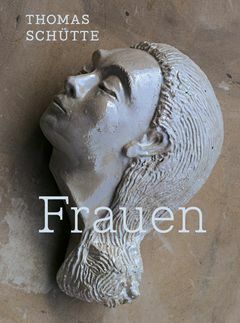 Frauen contains almost 200 color reproductions, along with texts by Andrea Bellini and Dieter Schwarz. FORMAT: Clth, 8 x 11.75 in. / 160 pgs / 195 color.